Salon Iris is powerful salon management software that simplifies and automates critical processes for salon owners, employees, and booth renters from the front desk or from the palm of your hand. Quickly review upcoming work days, schedule appointments, block off time to mark yourself off the appointment book and drag and drop appointments to reschedule. 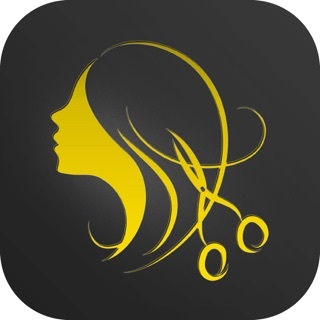 Salon Iris is a great scheduling app for any size salon and salon owners and managers can review appointments for any of the salon’s stylists or technicians. If you're an independent contractor or booth renter, you’ll find this simple affordable app perfect for running your business. View client formula history, review past purchases, see upcoming appointments - even send them a quick text or e-mail from within the app. Robust recordkeeping makes it easy to keep up-to-date, and in contact with, all of your clients. With Salon Iris, you can create a custom website for your business and allow clients to request appointments through your website or through your Facebook page. You'll automatically be notified of new appointment requests through the app, and after you accept or reject the request, Salon Iris will add it to your calendar and e-mail the client. Integrated credit card processing speeds client checkout and simplifies your reporting. Swipe credit cards right on your iPhone with our free mobile card reader, or you can type in credit card information to process credit or debit card transactions. Even e-mail a receipt when you’re done! Manage product inventory - even sell products to clients right on your iPhone or iPad. Inventory levels are adjusted automatically as products are sold, so you always know how many products you have and can reorder at the right time. Check your total salon sales, employee percentage booked, product inventory levels (and more!) right from your phone. We've included over 25 comprehensive business reports to make running your salon (from anywhere) a breeze. Simplify staff management by blocking out non-working hours to let everybody at the salon know when you're not available. The appointment book stays in-sync, so everybody will instantly know your availability. If you experience any problems please contact our customer support specialists via e-mail at support@daysmart.com or by phone at (800) 604-2040. - You can now run payroll and view payroll results. Very pleased with the app! I am very pleased with this app. There is one thing I really wish could happen to make it better. I would like to see a notification on the clients appointment when they cancel. The app puts a check when a client confirms but I don’t receive a notification when they actually cancel. I have lost money because a client said they canceled their appointment but I never received the notification. I could have booked someone else at that appointment time. Pleased tell me what I’m doing wrong. My love this for scheduling my clients as a freelance hairstylist. It send confirmation text/emails. Keeps product inventory, processes card payments, allows me to keep notes in my clients as well as photos. My only reason for 4 of 5 stars is I wish that the credit card processor allowed me to input the gratuity % for the preset options. Being able to input my own %'s really helps to increase my annual revenue even by the 5% difference from their options. So that's a bummer.